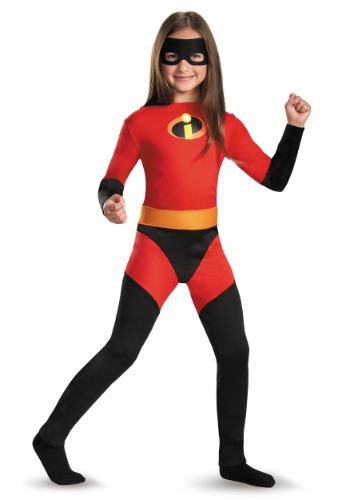 Your daughter will be ready to fight Loki's army when she wears this officially licensed Girls Deluxe Black Widow Costume. The ensemble includes a jumpsuit with attached leg straps, two belts, a buckle, and two wrist cuffs. Get together with the rest of our Avengers costumes for a great superhero group costume! Of all the superheroes to show off girl power no one does it better than Wonder Woman. For years she has been saving the world and being an inspiration to girls of all ages around the world. 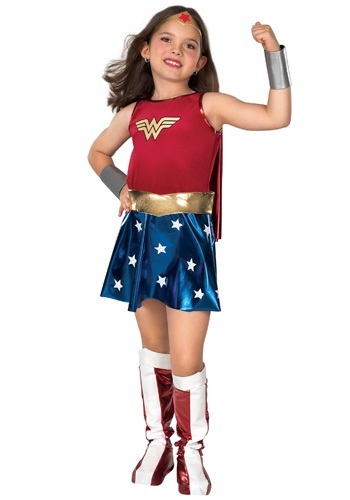 Now when your little girl wants to be a superhero this year why not let her be the best in this Wonder Woman costume.